Are you looking to escape the frantic and frenetic pace of the city? If you’re not a fan of camping but would still like to get close to nature, then we have the solution for you! Today’s feature property boasts a wonderfully mobile construction, along with modern details and contemporary necessities. 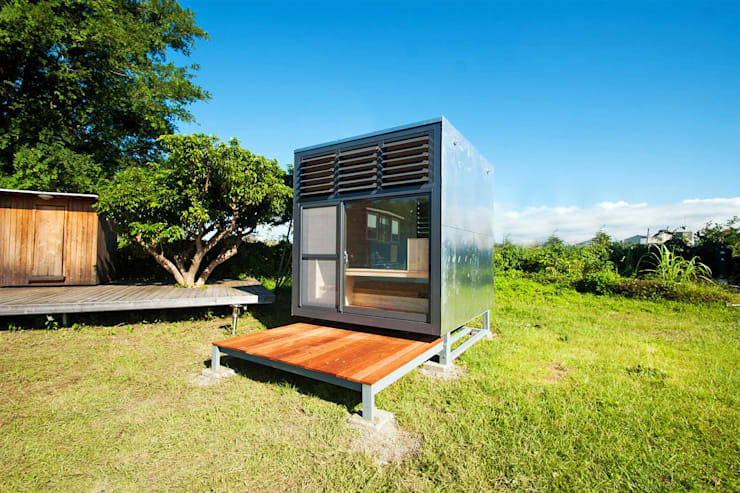 This steel cube is more than a place to live—it's a lifestyle. Perfect for a neat getaway, or even suitable as an additional guest area for your everyday home, this versatile structure is truly inventive. 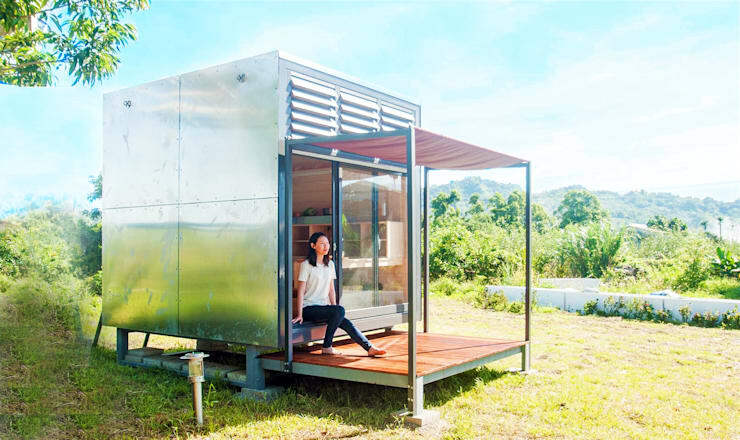 Practical, alluring and a great alternative to camping, this ultra-compact abode is aesthetically pleasing, as well as lightweight. 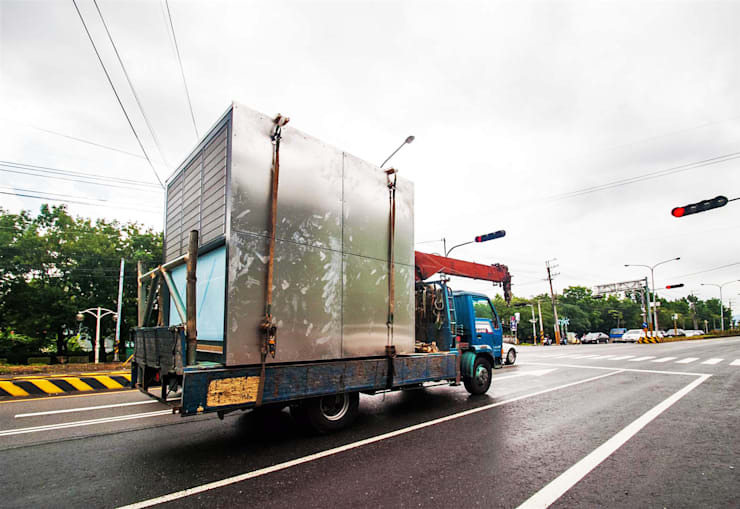 In fact, it's so lightweight it can be easily transported by truck to any location you desire. In this instance the structure has been situated lakeside, in a holiday location, where its owners can utilise it during the summer. The full height window is a nice addition, along with the timber deck, which we'll see is wonderfully located for relaxing and resting. 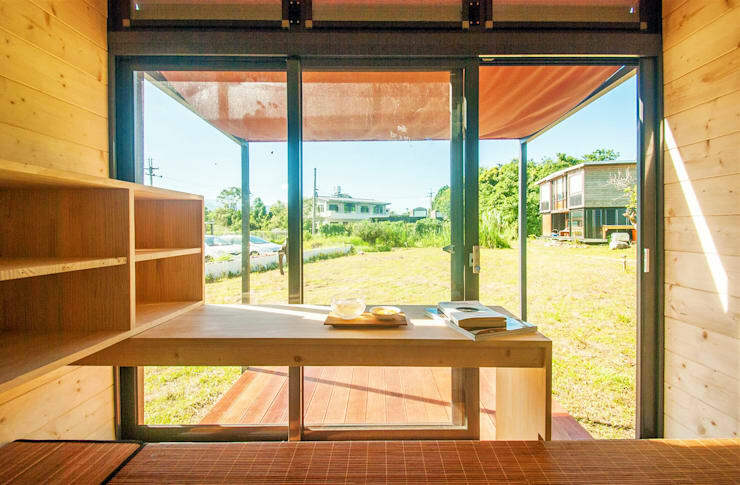 To maximise this little home's practicality we see that the designers have included a detachable canopy for the timber deck area. This is ideal for setting up a deck chair and soaking up a little of the scenic surrounds. Sturdy and designed to withstand strong winds, this lightweight awning is just as good to protect the occupants from rain as well as sun. 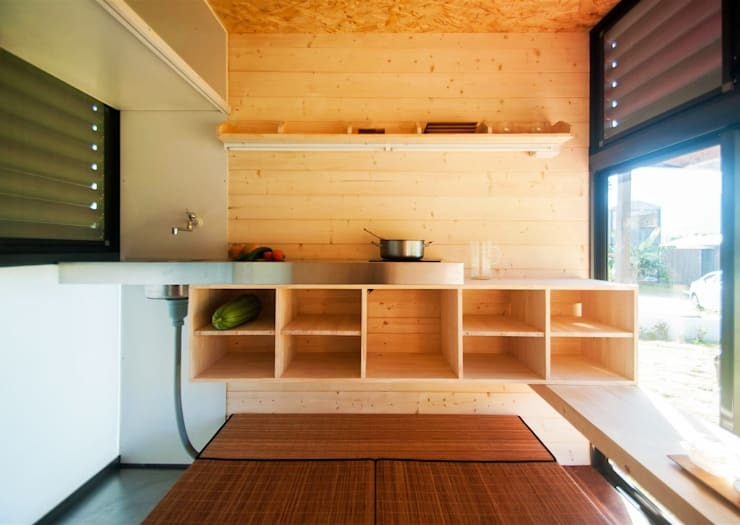 Inside the compact abode we see that the main section of the structure is dedicated to a dining space. This doubles as a living area, and is constructed in hardwood to coordinate with the internal timber-clad walls. Ideally positioned next to the large window, this functional space is provided enviable views and bright sunlight. We also see that the large window at the front of the structure is designed with an aluminium frame, maximising security to the occupants inside, as well as their belongings when they aren't there. Turning around we see the contemporary cooking space that offers a large sink, cooktop and plenty of open cupboards to storage all the necessary essentials. A wall-mounted shelf is also included, once again providing crucial storage space to the interior. Cosy and welcoming, we think this adorable dwelling would also work well in colder environments, where its occupants can cook a delicious meal, while gathering inside to watch the weather outside and stay warm. Furthermore, the bamboo mat you see underneath the cupboards is actually the bed, when individuals can relax, sleep and hang out. These multi-purpose items ensure each inch of space is catered for, providing a sense of versatility and liveability. Constructed in lightweight aluminium, the structure is easily transportable and could be situated and set down at any location you'd like. Fancy a weekend house in forest? Alternatively, perhaps a small ski chalet nestled in the hills? This property offers a range of options, leaving it all up to your imagination! Have you considered a micro holiday home or getaway house?